Here is a lovely Halloween story for you: Swedish boxer Anthony Yigit suffered his first professional loss last weekend at the hands of Belarusian punisher Ivan Baranchyk. The fight was stopped by the doctor after the seventh round because Yigit’s left eye grew to the size of a grapefruit inside his socket. 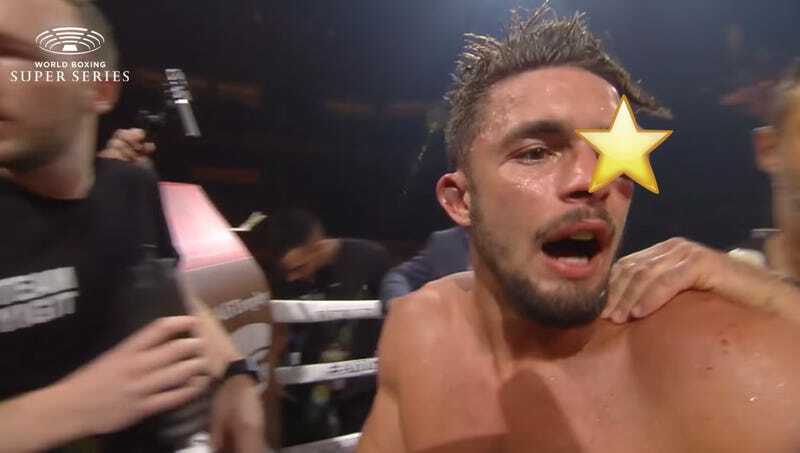 Yigit protested the decision, but uncensored images of Yigit’s fucked-up eye make it pretty clear that the fight was stopped when it should have been. An obvious warning: The images are graphic. Yigit has been keeping fans updated as his eye slowly stops resembling a poorly drawn cartoon mouth.